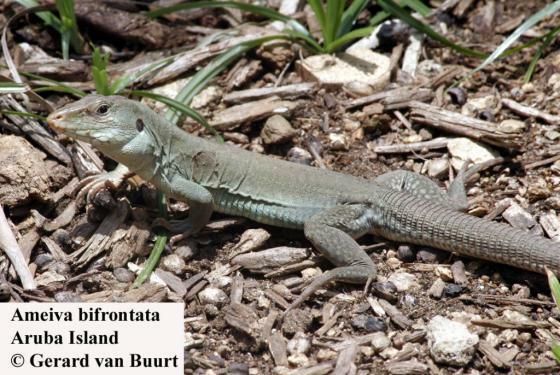 Can you confirm these amateur observations of Ameiva bifrontata? insulana: restricted to Los Testigos islands. 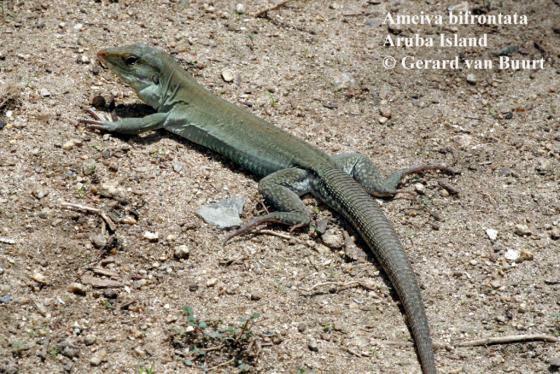 Comment Synonymous to Ameiva ameiva (fide BAUER 1995)? 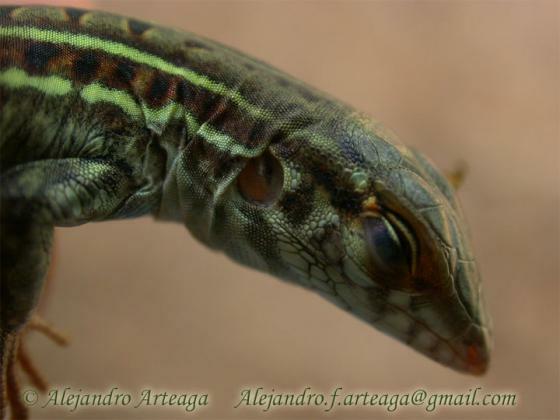 Subspecies after PETERS & DONOSO-BARROS 1970. 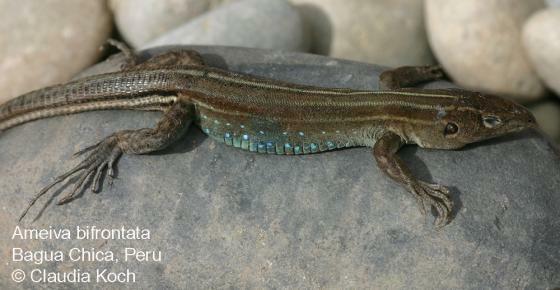 Ameiva bifrontata concolor RUTHVEN 1924 is now considered as a valid species by most recent authors. 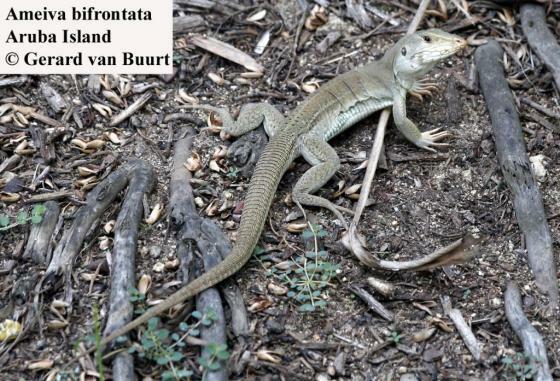 Distribution: the original type locality (St. Thomas, West Indies) is probably in error. 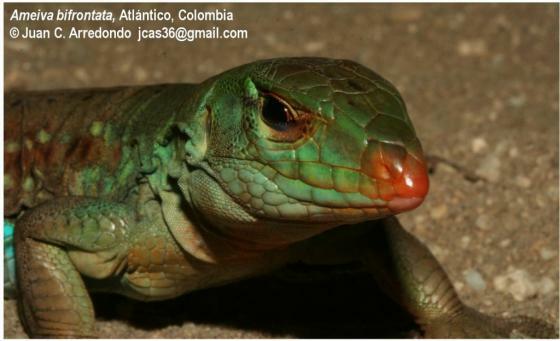 Ruthven (1913) and Barbour & Noble (1915: 471) doubt that this species ever occurred on St. Thomas and assume that the type specimens probably came from Venezuela that is represented in Colombia by A. divisus. 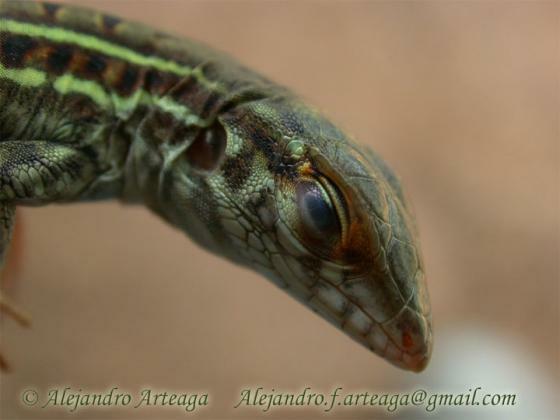 Photo: the first photo by Jan Prerost may be in fact A. ameiva (fide G. Ugueto, pers. comm. 10 Feb 2012).